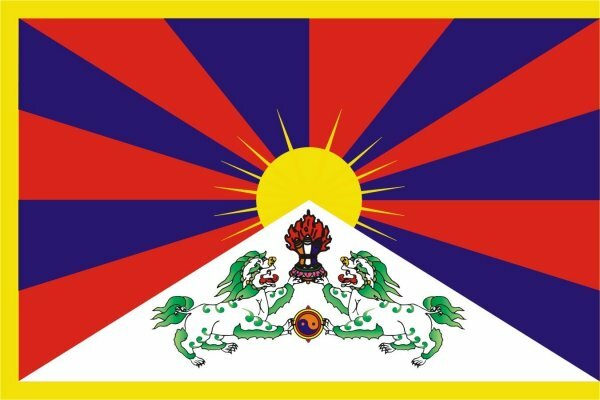 Three prominent members of the Tibetan community have been allegedly detained by Chinese authorities since February 2012 as a result of their participation in a protest against Chinese authorities in Tibet and their interference in religious affairs. Chinese authorities have detained three locally well-known Tibetans from a county in Nagchu prefecture in the Tibet Autonomous Region (TAR), a source said Tuesday [10 April 2012], following protests over Chinese interference in Tibetan monastic affairs in the county. Authorities detained the three—a traditional doctor, a businessman, and a teacher from Driru (in Chinese, Biru) county in Nagchu (Naqu)—in late February , a Tibetan in exile with contacts in the region told RFA Tuesday [10 April 2012]. Information flow from the TAR has been restricted amid a security clampdown by the Chinese authorities. The detentions follow a protest against Chinese rule sparked by monks from Pekar Monastery and involving hundreds of local Tibetans in the county earlier that month. The three, all of whom have been linked to traditional Tibetan medicine, remain unaccounted for and are believed to be still in custody. Ugyen Tenzin, a 55-year-old well known specialist in traditional Tibetan medicine, was taken in for interrogation by authorities in Driru on Feb. 28 , the source said. He was later taken to the Tibetan capital, Lhasa, and held in the Lhasa public security bureau’s detention center. “They found no incriminating evidence to charge him with, but he was still detained,” the source said. Tenzin Thabkey, a graduate of the Tibet Medical Center, was another influential figure detained by Lhasa city police in the capital on Feb. 25  on charges that he had “stirred up social instability,” according to the source. Originally from Lenchu township in Driru, he was working as a teacher at a private school in Lhasa at the time of his detention, he said. The businessman, Nyima Tsering, was detained on Feb. 23 , according to the source. In addition to running a real estate business and a large hotel, Nyima Tsering also trades in cordyceps, a fungus important in natural medicine, the source said. “He is one of the outstanding businessmen in the region,” the source said. The detentions came after hundreds of Driru residents protested on Feb. 8 , calling for authorities to stop intruding on religious affairs, as well as calling for independence and the return of the Tibet's spiritual leader the Dalai Lama, according to sources in the region. Authorities cracked down on the county after the protest, sending five truckloads of security forces the next day and warning local residents they would could be shot at if they did not “control themselves,” sources in the region said. Authorities also threatened to jail Tibetan monks and nuns in Driru who abandoned their posts in protest against interference in monastic affairs. The Driru detentions come at the same time as security clampdowns in Tibetan-populated areas of Chinese provinces of Sichuan, Qinghai, and Gansu, where 33 Tibetans have set themselves on fire since 2009 in protest against Beijing's rule. China has jailed scores of prominent Tibetan citizens, including writers, artists, singers, and educators, for asserting Tibetan national identity and civil rights since widespread protests swept the region in 2008. In March , authorities in China’s northwestern Qinghai province sentenced a popular Tibetan singer, Ugyen Tenzin (who has the same name as the doctor in Driru), to two years in prison for releasing an album of songs promoting Tibetan national identity and for other protest activities, according to Tibetan sources. In a separate incident in a Tibetan-populated area of Gansu province, authorities shot dead a Tibetan man after he fought back when they came to detain him on suspicion of involvement in a theft of gold from a store. “In the scuffle, he injured two police and he was shot and died on the spot,” a Tibetan in exile with contacts in the region said. The man, identified only as Tabuk, around 30 years old, was killed on April 5 by local Chinese police in Achok township in Labrang county (also known as Sangchu in Tibetan and Xiahe in Chinese), in Kanlho (Gannan) Tibetan Autonomous Prefecture. His death provoked a protest in his home village, Sekok, in Achok township, where Tibetans had planned to march to county offices in protest against the shooting. “At that time some well-respected lamas intervened and advised that they withdraw their plan to protest. They negotiated with the government authorities, who agreed to pay 200,000 yuan [U.S. $32,600] in compensation [to Tabuk’s family],” the source said. The shooting had reminded locals of another incident in 2011, when authorities shot a Tibetan suspected of theft from a gold store in Labrang town, “without any investigation,” the source said. “So this year  again another Tibetan, Tabuk, was also shot and died based on the same suspicion. Those two victims are related to each other,” the source said. In January , Tibetans ransacked the police station in Achok township after security forces in nearby Nanba township in Labrang shot and killed a man accused of stealing materials from a controversial construction project. Labrang county is home to the Labrang monastery, one of the largest outside the TAR, and was the scene of major demonstrations against Chinese rule during regionwide Tibetan protests in March 2008.